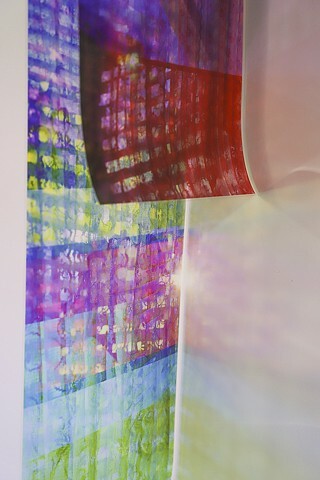 4 Giclee prints on transparent film, poplar, light. Approximately 8' x 10' wall work. prints: 12" x 72", 12" x 50"